We love it when we first meet with a new couple to learn about their day and find out that they don’t want to turn their wedding day into a full-day photo session but would rather focus on having a fun, relaxed day and just let photos unfold as their day does. That was the case with Melissa and Jesse who met on eHarmony and got engaged in April of last year. Melissa is an interior designer and Jesse teaches math at Father Otterson JR High School in Edmonton which just so happens to be named after Father Felix Otterson who married us almost 14 years ago. Although she was against doing a first look when they started their wedding planning, Jesse eventually managed to sell Melissa on the merits of doing one since their ceremony was taking place later in the day and it wouldn’t leave much time for photos or for visiting with their guests during cocktail hour. After getting ready at Rock, Paper, Shears, the girls headed over to the Art Gallery of Alberta where we planned to do their first look. 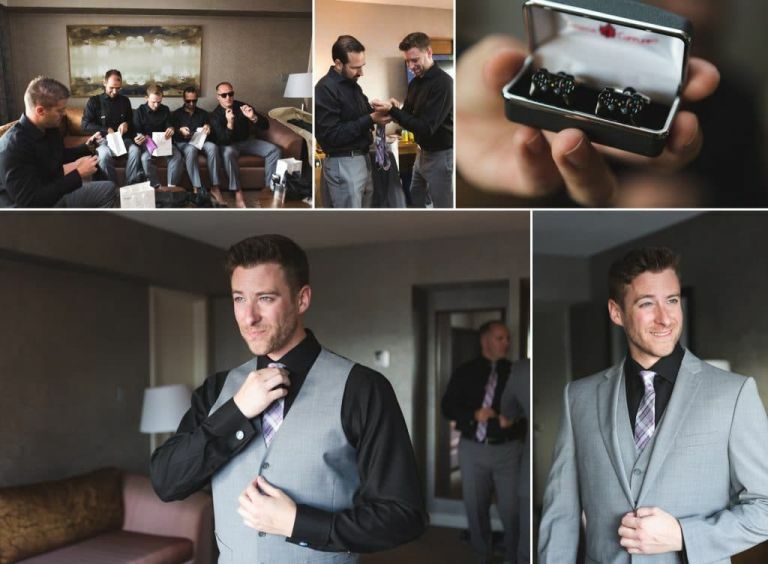 The guys meanwhile were getting ready nearby at the Westin and then headed over for the first look. After Melissa and Jesse did their first look, we made our way over to Craft Beer Market on Rice Howard Way so the entire wedding party could relax and get some lunch while we did a few photos in and around the bar. The manager was a friend of Jesse’s and granted us access to the keg room to do photos which I think was Jesse’s favourite part of the day (apart from marrying Melissa of course). 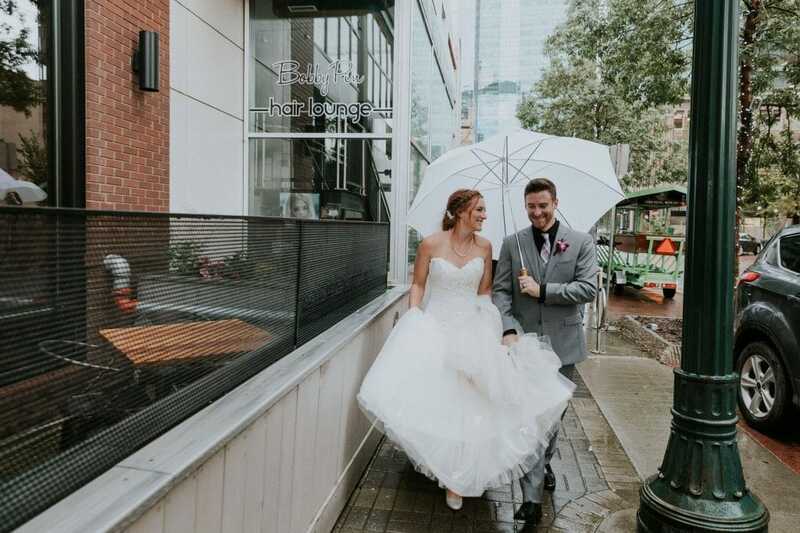 It rained for a good portion of their wedding day so it was great that we had some amazing indoor locations to work with but we also wanted to shoot outside a bit for some variety. Armed with a few umbrellas, we headed outdoors for a few fun shots downtown including a stop at the site of one of the art installations that was part of Rust Magic – a mural festival that had been held a few weeks earlier. We had seen this particular building being painted a few weeks earlier and were excited to take Melissa, Jesse and their wedding party there for a few quick photos. Special credit to Kris Kanaly (aka Pyramid Guy) who was the artist behind this particular mural. Once we were done there it was time to head back to the Art Gallery for Melissa & Jesse’s wedding ceremony and reception. Thankfully the rain let up which allowed everyone to mingle and enjoy cocktails on the 3rd floor patio after the ceremony. 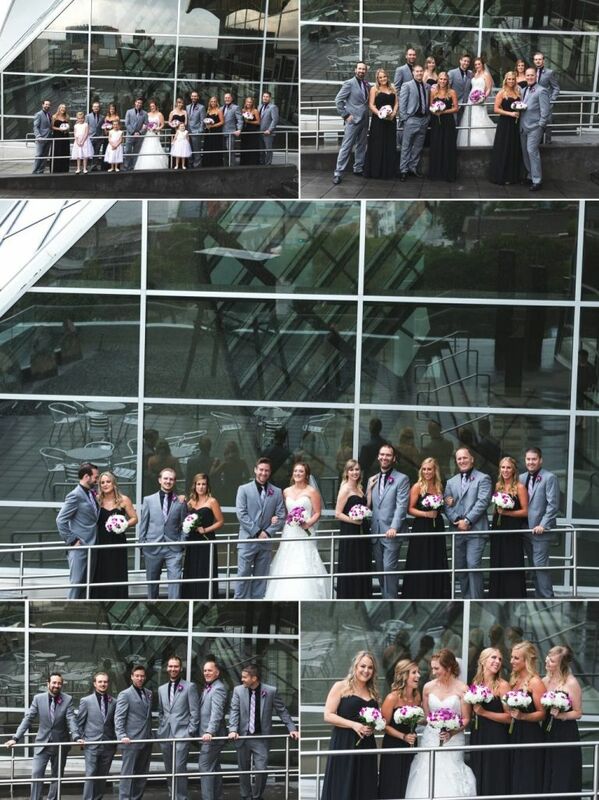 Melissa & Jesse had a great reception which featured a unique way of getting the couple to kiss – giant Jenga! Thanks so much to Melissa and Jesse for choosing us to capture your wedding day. 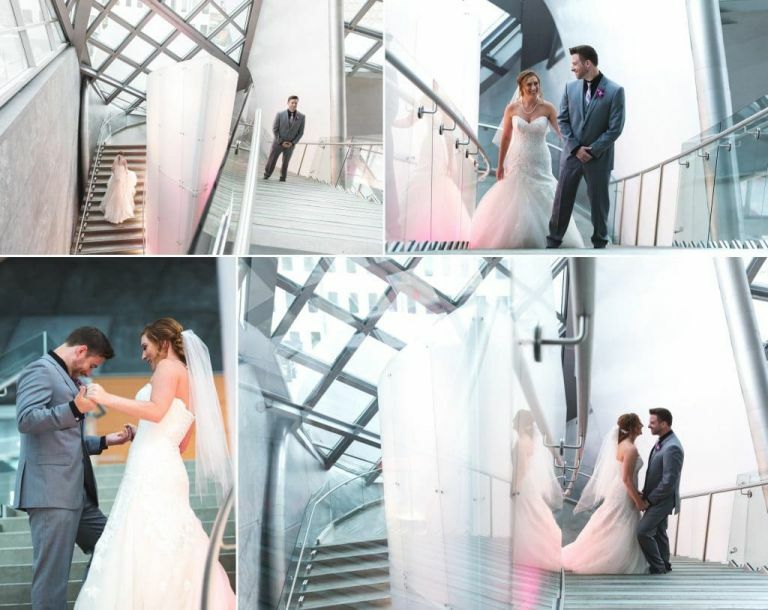 Enjoy this sneak peek from your big day! 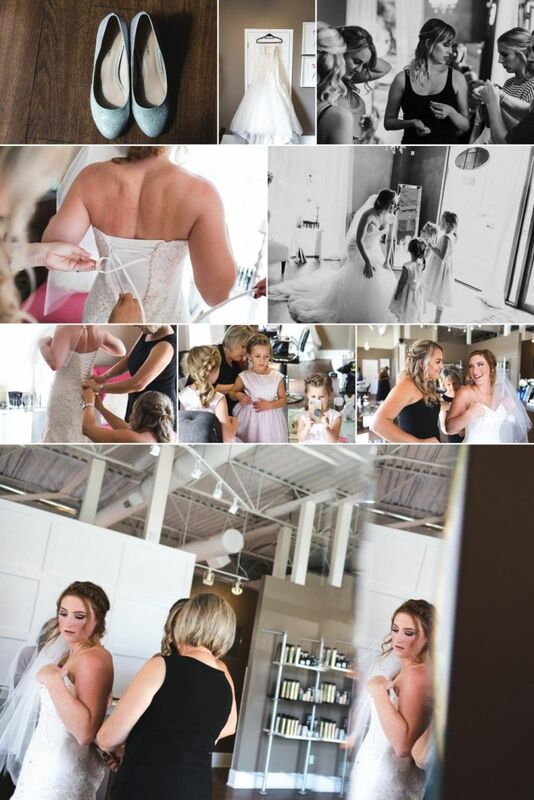 Thanks also to all of the fabulous Edmonton wedding vendors who we had the pleasure to work with on Melissa & Jesse’s wedding day.